Want to know the best tips for exploring Turkey’s stunning Turquoise Coast? There’s no better way to find out than to ask the locals. 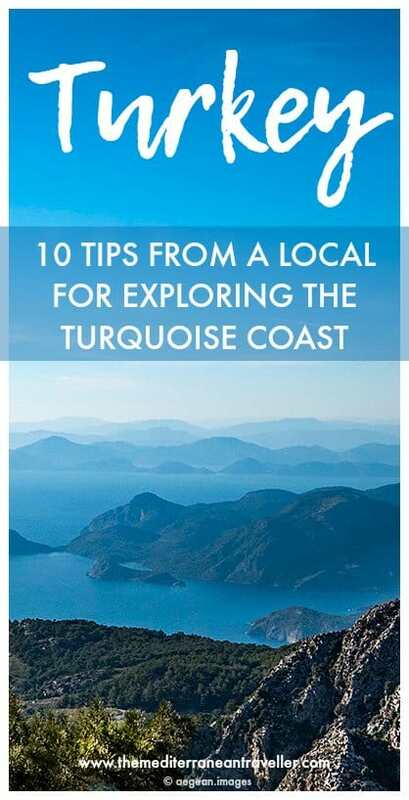 I’m a big fan of supporting businesses that promote responsible travel in their area; Slow Travel Guide has become one of my favourite blogs recently for their gorgeous photography and focus on slow travel in Turkey, and particularly the area around Fethiye. Read on to discover why they love the area, hunting hidden waterfalls, and—most importantly—where to find the best coffee in town. We live in Faralya, Turkey. It is a little piece of paradise at about 10km from the famous Ölüdeniz beach, known for its natural environment and Butterfly Valley. What inspired you to start a blog about it? What’s the focus of your blog? Living in Turkey we have the privilege of discovering this magnificent country in bitesize portions, the slow travel way. Sharing our experiences is our way of trying to help others find lesser known places and take advantage of our local knowledge when looking for Turkey travel tips. Slow Travel Guide is for people who want to travel to Turkey and who prefer to discover the country outside of the touring companies’ circuit. We want people to have authentic experiences and find off the beaten path destinations. We have a unique all-in- one map search that allows people to get travel inspiration based on a possible itinerary. I’m visiting you for the day, what do we do for breakfast? Undoubtedly, we will have an authentic Turkish breakfast. In Turkey, it is called köy kahvaltı or village breakfast. It is the most healthy and relaxing feast to start your day. The table is filled with about 25 different things to taste, all equally delicious and mostly organic. A Turkish breakfast is very different from what most people usually have as it is more savoury than sweet, but as soon as you are over that, you are bound to love it! What do you love most about where you live? What makes it unique? The area where we live is relatively untouched. There are no shops in our village, not even a bakery. 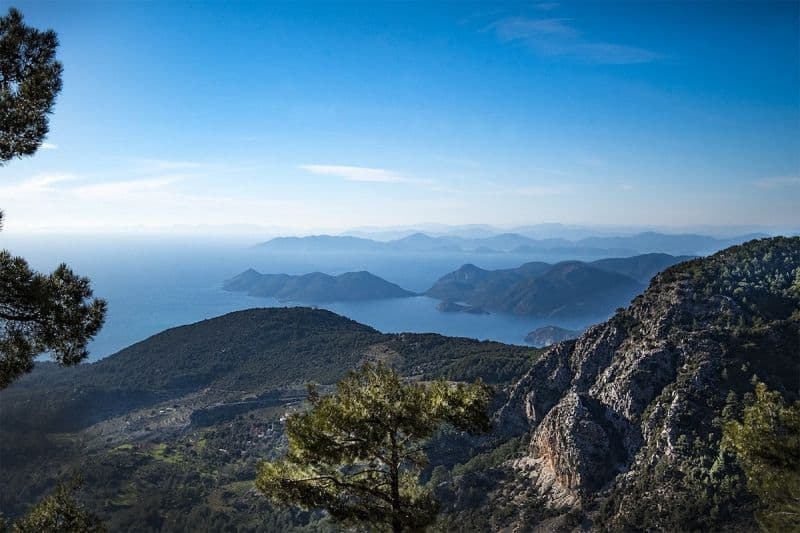 We are surrounded by nature and we live on the Lycian Way. What I love best about it, is the silence. It’s addictive in a way. What should every visitor do at least once whilst they’re there? Get one of the local taxi boats to take you to paradise beach or even further towards Kalabantia. These beaches are only accessible by boat or after a challenging hike and are far enough from the main tourist attractions to be left alone by the big pirate boats carrying loads of tourists. You will have your very own private beach. What do you miss most about it when you’re not here? The silence, the space, and the serenity. Living with the sounds of nature does miracles to your soul and is so beneficial for your general wellbeing. Also, the distant views are lovely, something you quickly start missing when away from home. What’s your favourite historic site in the area? That is a very difficult question! Turkey has so many beautiful and interesting historic sites. Still, in our area, I think I would go for Tlos, which was a major Lycian city in a stunning setting. 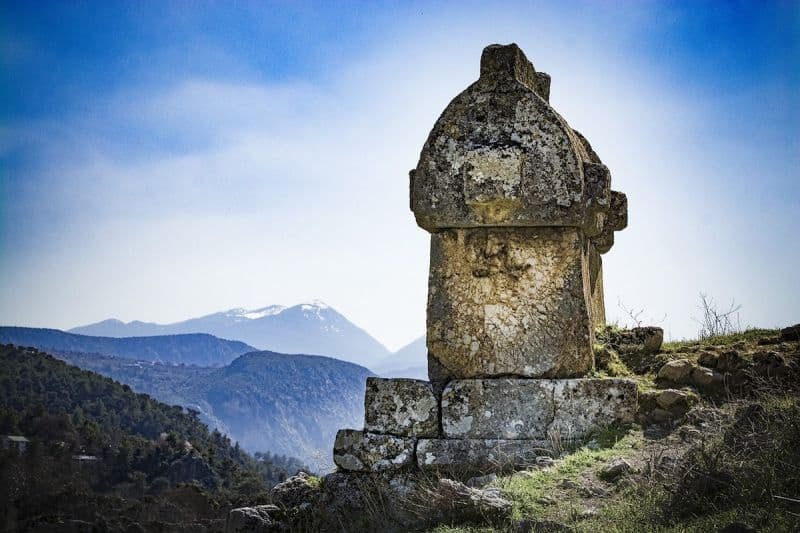 The site is far less touristic than its Unesco counterpart Xanthos, which makes it such a pleasure to discover it. The best coffee in town is . . . Without a doubt: Köşe Kahve in Fethiye. It is in one of the back streets, on your way up to Amynthas Rock Tomb in Fethiye. The owner imports the beans from all over the world and the coffee is roasted on site. The fact that they serve it in colourful handmade ceramic cups only adds to the experience. This is the place for any kind of coffee-fix! The perfect place to watch the sunset is . . .
On top of Mount Babadağ. The view up there is unbelievable. On a good day, you can see all the way to the Datça peninsula, and of course to Rhodes on the other side of the Mediterranean. Don’t forget to get warm clothes and shoes! Even in August, it gets rather cold once the sun has set. The thing you wish most tourists knew is . . .
Turkey is so much more than a beach destination for summer vacations. It has a lot to offer, especially out of season. There are excellent ski centres, great hiking routes, and countless historical sites to visit while enjoying the natural beauty of the country on your way over there. In Fethiye or Ölüdeniz for example, you can have a walk in the snow and have a coffee on the beach half an hour later. A unique feeling! If there’s one thing in the area worth hiring a guide for it’s . . .
Getting to the hidden waterfalls in Kabak. Kabak beach is a slice of paradise, but few people know that the pine woods behind the beach hide some stunning waterfalls with a little pool in front for the perfect cool space in summer. You must be willing to hike through the woods wearing decent walking shoes to get to them, but you will be rewarded! The best time of year to visit is . . . Thanks to Slow Travel Guide to sharing their insights. I highly recommend checking out their blog for more insider tips and inspiration. Don’t forget to check them out on Facebook and Instagram too. And if you’re heading to the Turquoise Coast this summer then check out our guide to cheap gulet cruises, if that sounds like the kind of thing that floats your boat.